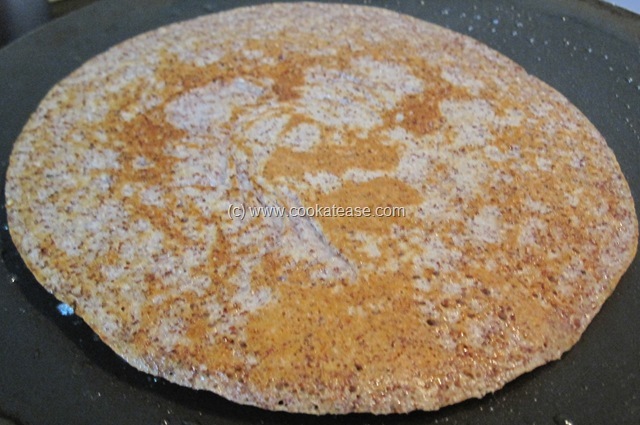 Ragi (finger millet) can be used to make dosa, idli and also uthappam. 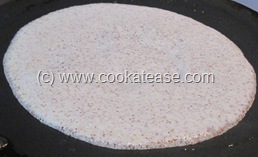 They are very good for diet watchers and diabetic patients. 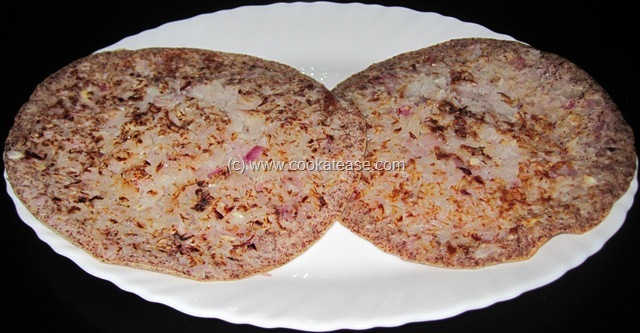 I prefer to buy whole ragi from the market to prepare ragi batter instead of using ragi flour available in the market. 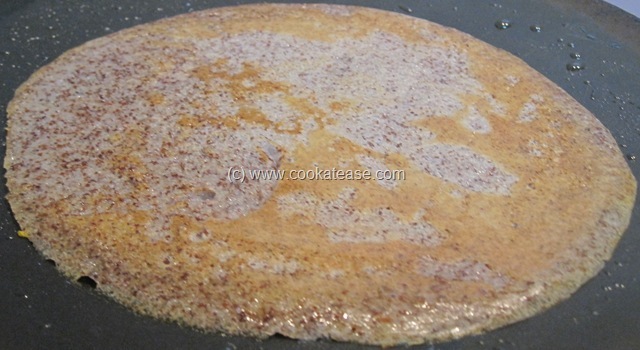 Ragi batter prepared at home with whole ragi, ferments better and has more fiber content. 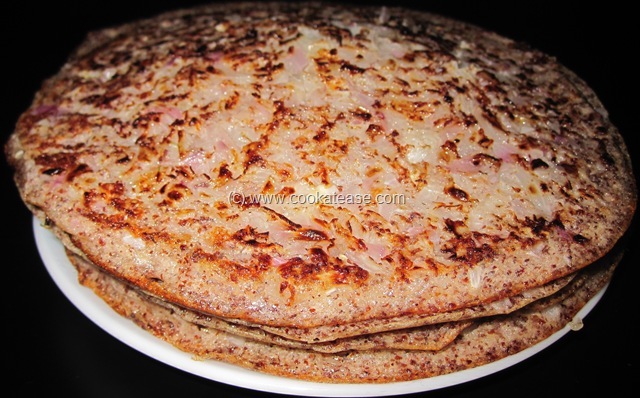 Here is Ragi Uthappam prepared with onion and carrot. I used food processor to finely chop onion and also to avoid eye irritation if done manually. 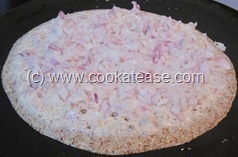 Heat a skillet and grease it; pour 2 ladle of batter and spread it to ¼ inch thickness round; lower the flame, spread the chopped onion over it. Lightly press with spatula and sprinkle some oil on the periphery; after 2 minutes turn and cook the other side; repeat for the remaining batter also. 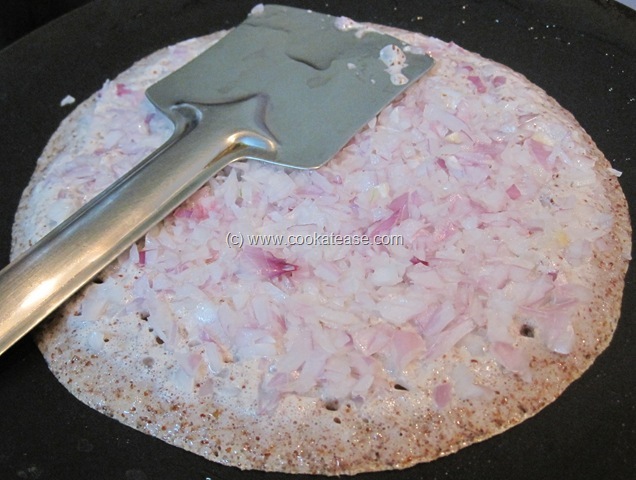 A healthy Onion Ragi Uthappam is ready. 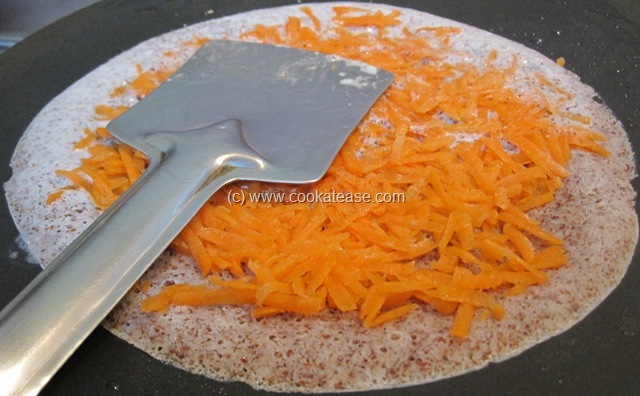 For carrot uthappam, use grated carrot same way instead of onion. 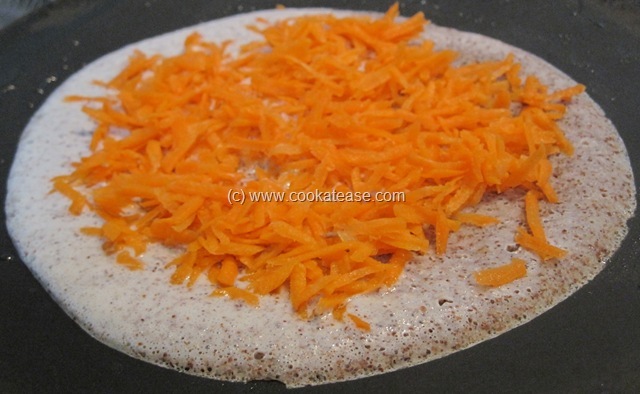 A healthy Carrot Ragi Uthappam is ready. Serve with chutney. 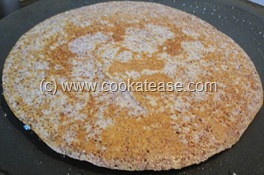 Cooking in low flame helps to get better results. Yummm I made onion uthaappam today but making it with raagi is something new to me. Used to make ragi dosa but not of this kind. 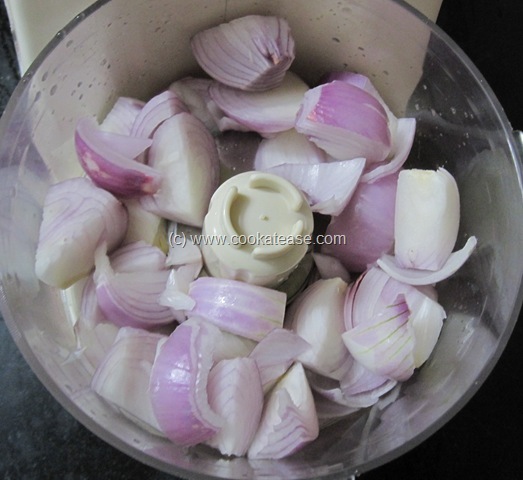 Sounds interesting and would surely try it out sometime. 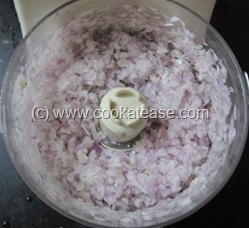 Previous post: How to Extract Coconut Milk (Thengai Paal/Nariyal ka Doodh) ?